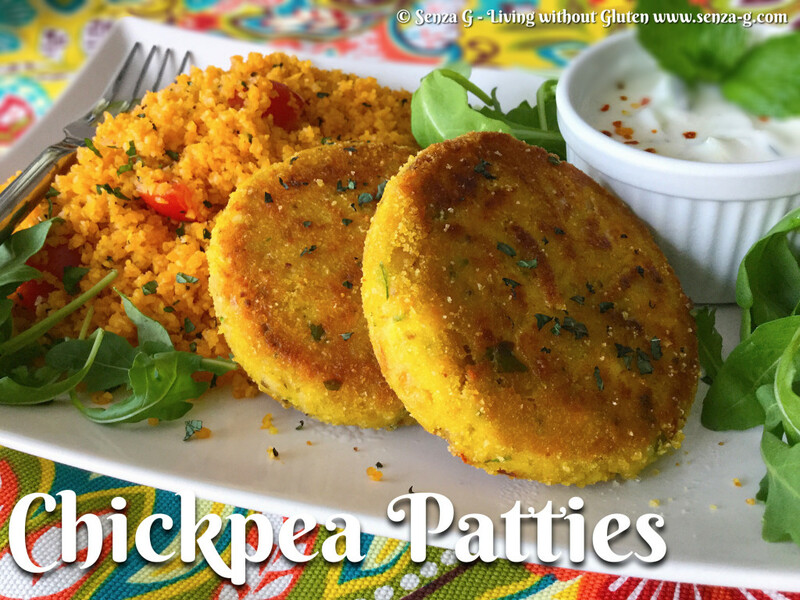 Very similar to the Lebanese Felafel, these patties are also made with chickpeas however they have some veggies in them as well as Feta Cheese which apart from keeping them moist, gives them such a lovely flavour. I have oven baked them and also shallow fried them. Both ways came good. Baked, they have a lovely crunchy outside but they do not have that golden brown colour like when you shallow fry. I loved these with some gluten free couscous and a cucumber and yoghurt sauce. You will found it easier if you use a small blender. First whizz the bread into breadcrumbs and place this in a large bowl. Roughly chop the chickpeas too in the blender and add this to the bowl. Then blend roughly the vegetables together with the cumin, seasoning and chilli if using. Put the vegetables in the bowl including the beaten eggs, the crumbled Feta and the fresh herbs and combine everything well. Place the dried breadcrumbs in a shallow bowl. Take two heaped tablespoons of the mixture and form patties. Drop the patties in the breadcrumbs and cover them completely. Place on a baking tray lined with baking paper. Do the same with all of the mixture. Put in the fridge for at least half an hour to set. When ready to cook them, if you are using the oven, brush the tops with oil before placing in a preheated oven 185C. Otherwise you can shallow fry them in a little oil, turning them half way, so they cook on both sides.